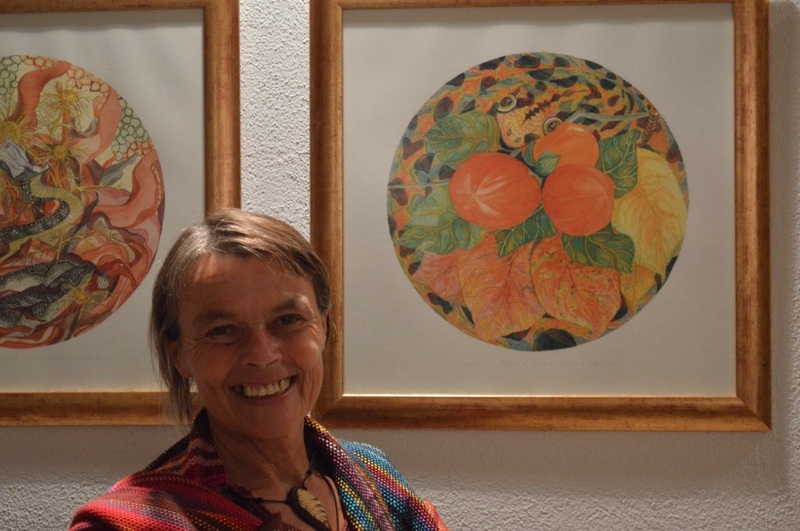 The exhibition covers Marinka’s watercolour series of Planet Hvar, beautifully detailed paintings of aspects of the nature of this island. 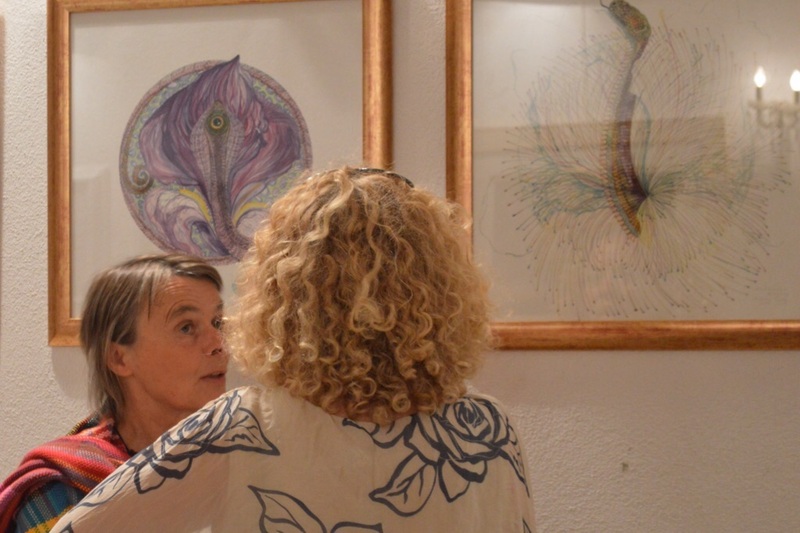 We went along on the opening night, Tuesday 15th September, when Marinka herself was there to greet visitors, and chat with them about the chakras. 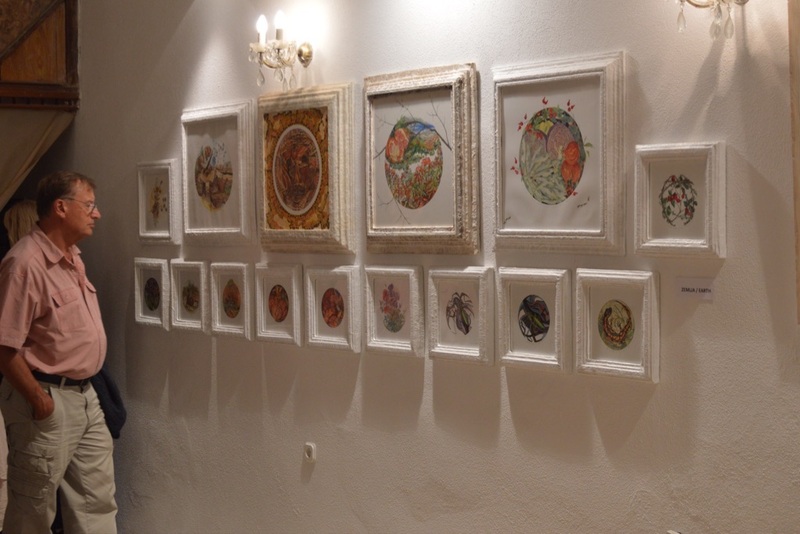 Zvijezda Mora church is a lovely gallery space, and showed off Marinka’s work beautifully. On the opening night it was good to see so many people. Hvar, after all, does not have so many live art shows! 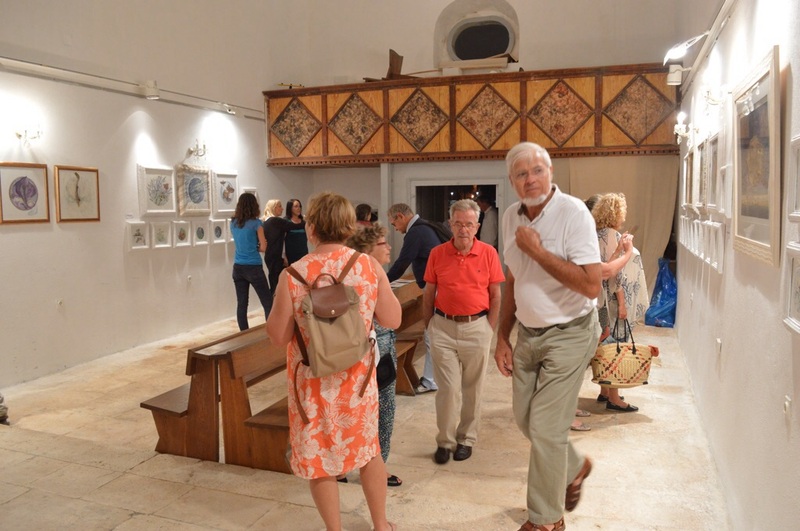 The gallery is on the western side of Hvar harbour, just past Kod Kapetana restaurant. Open in the evenings from 8pm for another week. 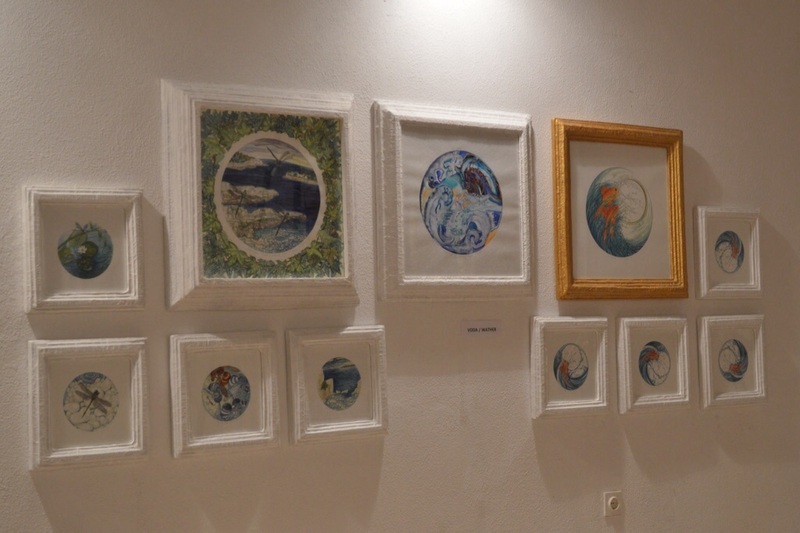 Having just spent a wonderful creative day last week with Marinka on the Hvar Artist Retreat, we got to see this show in preparation. How lovely now to see it hanging! 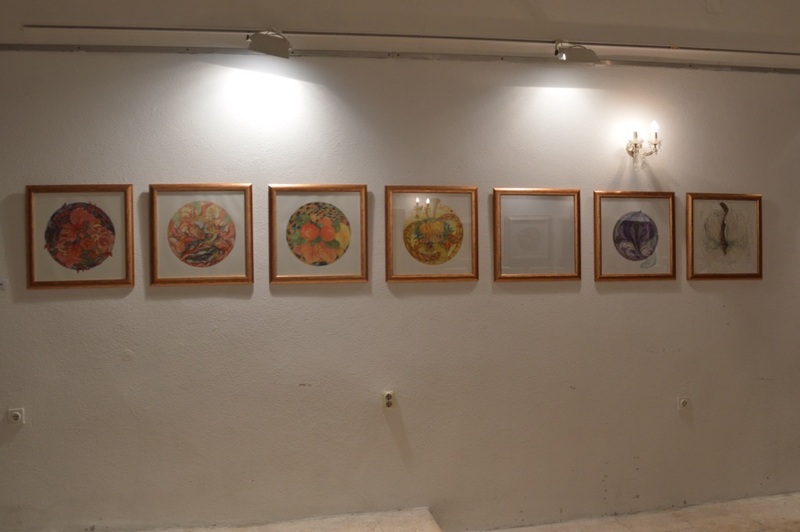 And don’t those handmade frames look great, just perfect for her artwork!